These are the new and used diesel vans with the lowest insurance groups, and the best news is that half of those in this list are in the lowest possible group under the outgoing rating one to 20 system: 1E. Equally, no diesel van on our list sits in anything higher than group 3E, so any of the following models won’t break the bank when it comes to cover. Though petrol vans are becoming more popular, the vast majority are still powered by diesel engines, as their strong mid-range pull makes them ideal for hauling heavy loads and covering big miles. Joint with the following four models on our diesel list, the Citroen Berlingo sits in the lowest possible insurance group: 1E. All models in that group are in L1 625 guise, but there’s a good amount of choice in every other respect, as you have the option of either 75PS or 90PS versions of the 1.6-litre HDi diesel engine along with Enterprise, X, LX and XTR+ specifications – and the latter has a limited slip differential, which makes it more adept off-road. Second on our list is the Ford Fiesta van, which also starts in group 1E and happens to be the best of any car-derived van to drive. 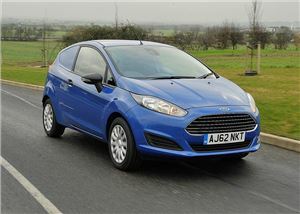 Diesel options in this particular insurance group include Ford’s 70PS 1.4 and 95PS 1.5-litre TDCi engines – and we’d go for the 1.5 every time, as it’s both more efficient and more powerful. You can also find a variety of different trim levels without straying from group 1E. 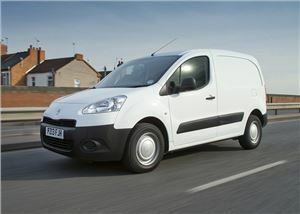 Essentially the same van as the Citroen Berlingo, it’s no surprise that Peugeot’s Partner also starts in insurance group 1E. That applies to L1 625 models, the 1.6-litre HDi diesel engine with either 75PS or 90PS and S or SE trim levels. The Partner also borrows a lot of components from the 308 passenger car, which means it rides and drives well and there’s little in the way of road noise on the motorway. It may say Vauxhall on the front but the Combo is fundamentally a rebadged Fiat Doblo under the skin. Like the first three vans on our list, diesel models – both the 75PS 1.3 and 100PS 1.7-litre CDTi versions – also start in group 1E, and you can even find some variants with the five-speed Easytronic automatic transmission in this insurance group, as well as vans with specially converted, refrigerated cargo areas. 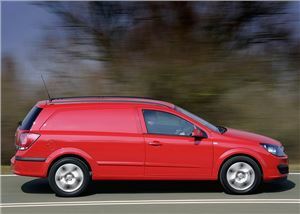 The final diesel vans in the rock-bottom 1E insurance group is the previous generation Vauxhall Corsavan – chief rival to the aforementioned Ford Fiesta van. Both 75PS and 95PS versions of the 1.3-litre CDTi engine can be found in this, specific group, as can models in standard, along with Sportive specifications and those with stop-start systems, which were really quite novel in the Corsavan’s earlier days. 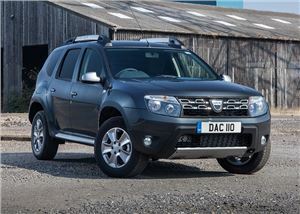 Still in insurance group one is the Dacia Duster Commercial, which is essentially the same as the passenger car version, minus the rear seats. However, the Duster sits in group 1A, which means it meets safety body Thatcham’s security requirements for the group, but does not exceed them, as every model in group 1E does. Either way, it’s still an extremely low insurance group, and gets you the 110PS 1.5dCi diesel model in Ambiance or Laureate trim with either front or four-wheel drive. 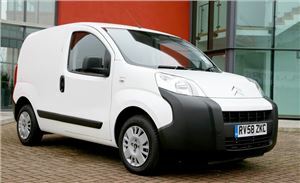 The Nemo is the smallest and cheapest van in Citroen’s range and starts in insurance group 2E. That gets you the 75PS 1.3-litre HDi diesel engine in Enterprise, LX or X trim levels and even the ETG automatic transmission, should you fancy it. It may be tiddly, but the Nemo is surprisingly spacious for such a small van and, as well as being cheap to insure, it’s very inexpensive to run. 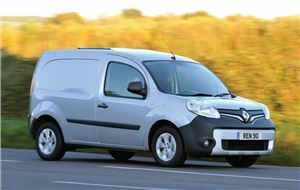 Diesel versions of the Renault Kangoo kick off in insurance group 2E, and buyers get plenty of choice at that level. 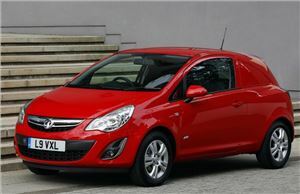 Without deviating from that group, you can find 70PS, 85PS and 105PS variants of the 1.5-litre dCi engine, manual and automatic transmissions, along with standard, Freeway and Sport specifications. It’s also a great all-rounder, as it’s well built, comfortable, practical and versatile. It may be long in the tooth, but the previous generation Vauxhall Astra’s van spinoff is not only cheap to insure (it starts in group 2E) but it’s also one of the cheapest and most abundant second-hand LCVscaround. Both the 1.3 and 1.7-litre versions of the CDTi diesel engine are available in group 2E, along with Club and Sportive specifications. Given the choice, we’d go for the latter, more powerful engine and Sportive trim. 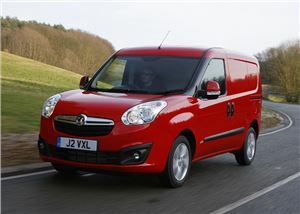 The final van in our list of cheapest to insure diesels is also the largest. 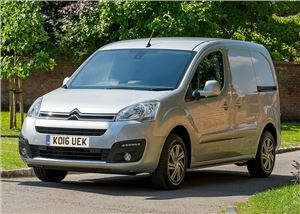 The Citroen Dispatch starts in group 3E, which gets you either the 90PS 1.6-litre HDi engine or a 125PS 2.0-litre HDi. 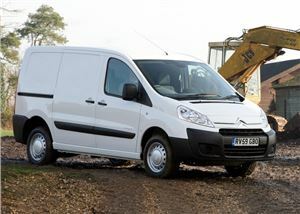 Both crew and panel van variants can be had in this insurance group, and they’re either L1 H1 1000 or L2 H1 bodies, and in standard or Enterprise specifications (the latter includes Bluetooth). We’d go for the 2.0-litre engine if possible, as it’s much more refined.